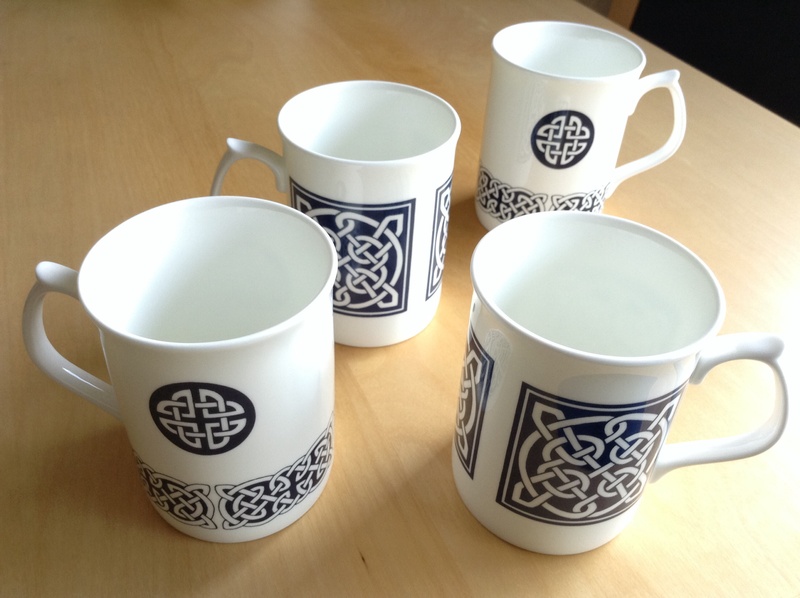 These mugs have a lovely Celtic knot designs which remind me of knitted cables! As a final musing … Is it coincidence that ‘knot’ and ‘knit’ are such similar words? Finding these mugs has set me thinking 😉 I’ll look into it. In the meantime, I know some of you are knowledgable wordsmiths – can you help? 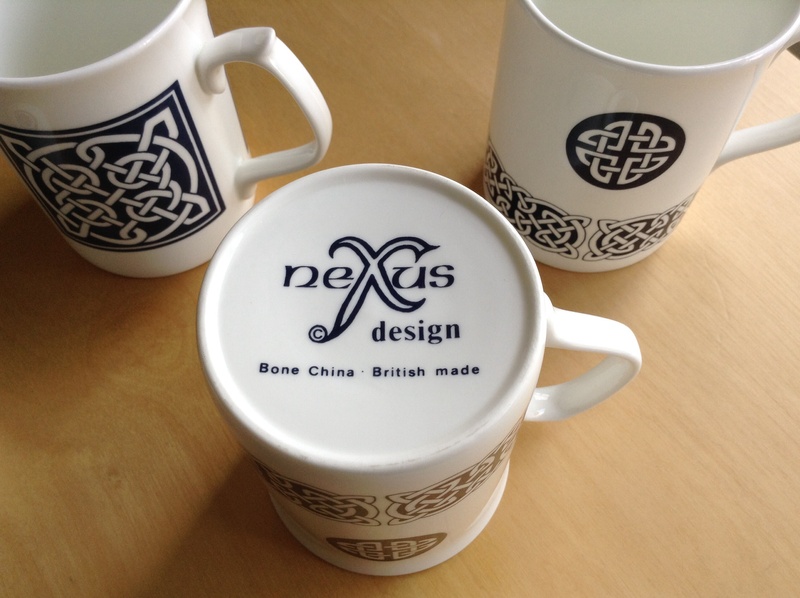 Definitely time for tea – always!! As for knit v knot – yes I believe they are etymologically related but I forget the details and would have to look it up again! !